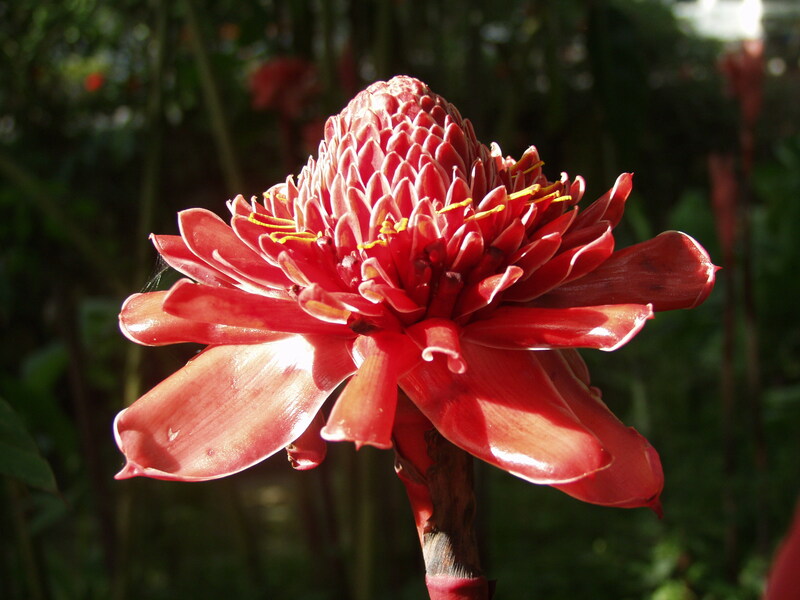 Etlingera elatior, also known as Torch Ginger, Ginger Flower, Red Ginger Lily, Torch Lily, Wild Ginger, Wax Flower,etc. is a species of herbaceous perennial plant. The showy pink flowers are used in decorative arrangements while the flower buds are an important ingredient in the Nonya dish laksa.